A large Roman villa was discovered in 2011 prior to construction of new houses between Itter Crescent and Fane Road. The Heritage Lottery funded ‘Romans of Fane Road’ excavation was undertaken in 2014. Since then FRAG has undertaken further archaeological excavations on the Fane Road Allotment Site to ascertain the full extent of the building. This year we will be looking to expand on the successful results of test pit 17-1 which was explored in 2017. If you are interested to participate please download the application form and submit to fieldofficer@peterborougharchaeology.org. Kevin Redgate will be in touch. Fane Road Allotments, Fane Road, Peterborough. Access will be via the gate off the footpath on the Itter Park side of the allotments. Friday (17 May 19) – Monday (20 Oct 19) from 8.00am to 4.30pm daily. Saturday (18 May 19) and Sunday (19 May 19) 11.00am to 4.00pm (further details nearer the event). Unfortunately, and disappointingly, the excavation planned for Oct 18 was cancelled at short notice due to circumstances beyond the control of FRAG Field Officers. This, therefore, will again be the seventh season of archaeological excavations on the Fane Road Allotment Site. In addition, the Heritage Lottery funded ‘Romans of Fane Road’ excavation was undertaken in 2014. The aims of previous excavations were to; establish the location of the southern part of the Iron Age enclosure ditch, establish any outlying Roman building foundations, locate and record Roman middens (rubbish tips) and establish the extent of the Roman metalled surface found in October 2015 with students of the Perse School. Last year the test pits from previous seasons that produced results requiring further investigation were revisited. This year the intent is to expand on the successful results of test pit 17-1. 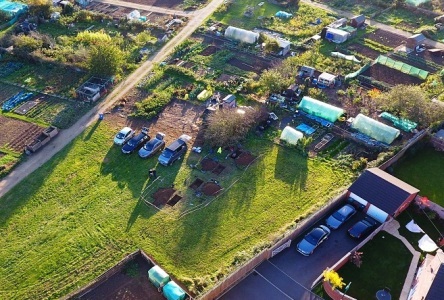 Closing date for application forms is 10 May 19; however, applications received from FRAG and Fane Road Allotment Association members (and their families) before 26 Apr 19 will be given preferred participation.